On Wednesday October 8th Aboriginal Youth Opportunities reached around the world by sharing and storytelling. 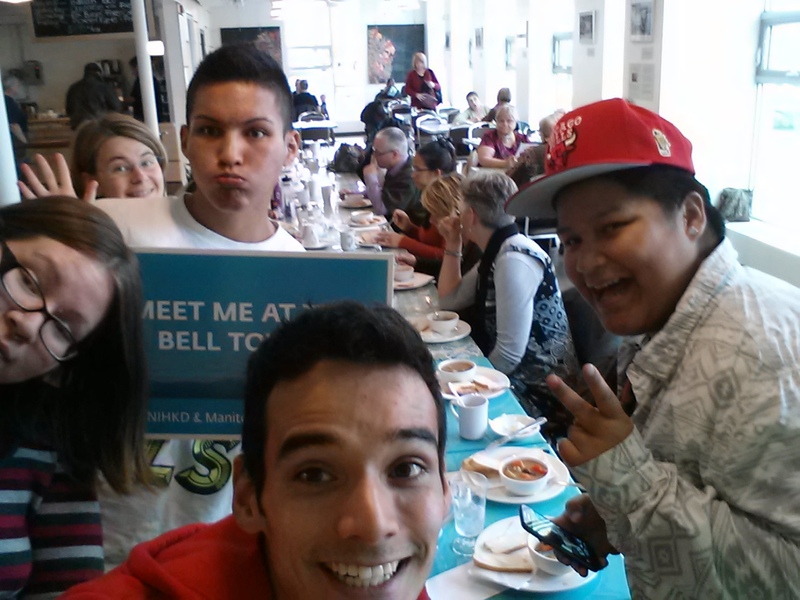 Thanks to Kathi Kinew for sharing this Opportunity with AYO! 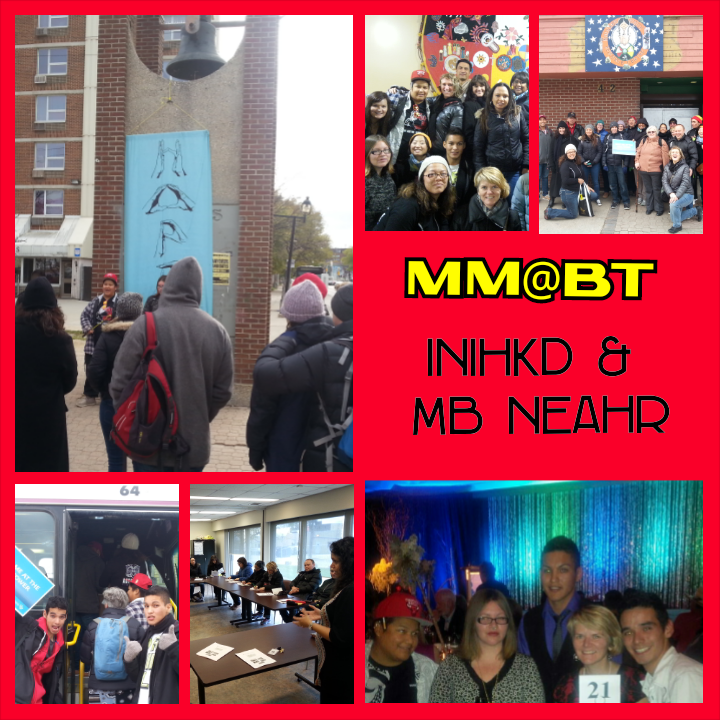 to be hosts for the INIHKD (International Network of Indigenous Health & Knowledge Development) & MB NEAHR (Network Environment for Aboriginal Health Research) Meet Me at the Bell Tower Tour featuring stops from: Ndinawe Youth Resource Ctr, Mount Carmel Clinic, Ma Mawi, Neechi Commons & Kani Kanichihk! 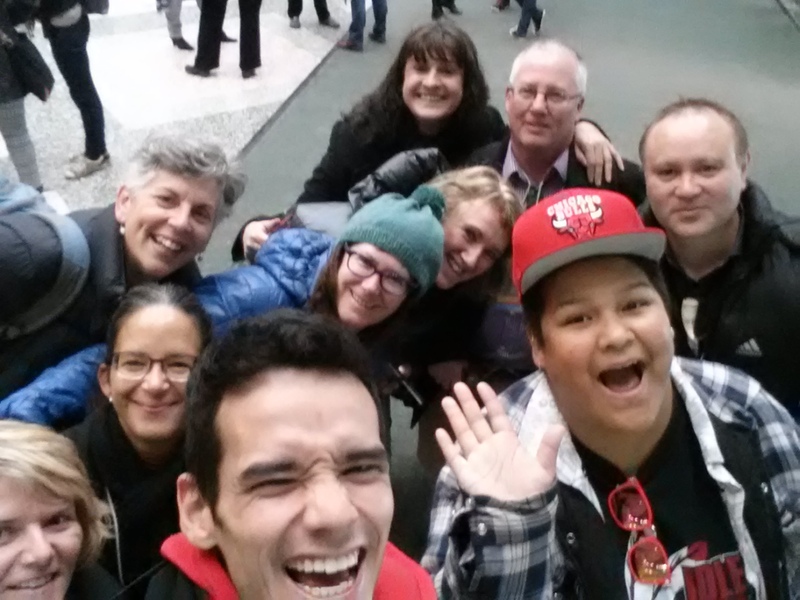 Strength based youth led approach to exploring the North End of Winnipeg for our relatives from New Zealand, Australia, USA & Canada! 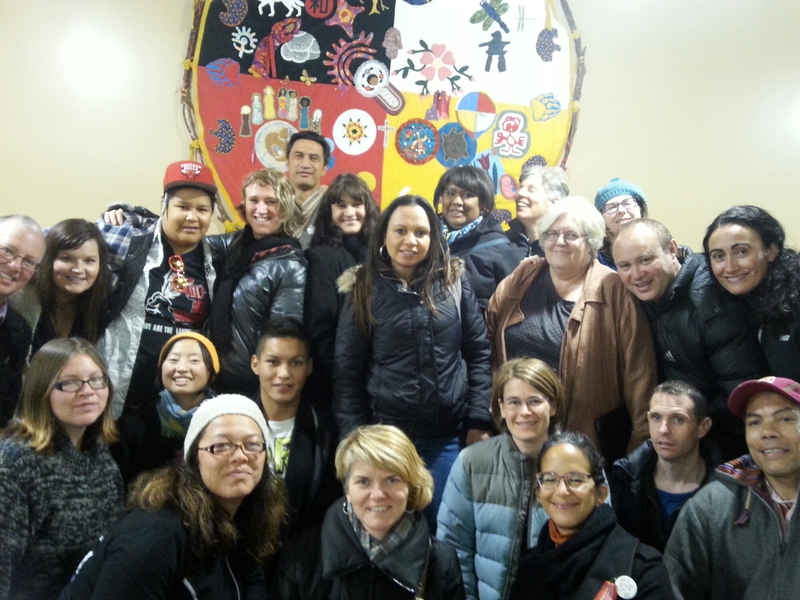 We also supported our local Indigenous social Enterprise Neechi Commons at the restaurant and book store. We are excited to stay connected to this new network of knowledge keepers and continue to share what is and isn’t working with each other providing support and collaboration wherever possible. We were also honoured to attend the Gala in the evening witnessing cultural presentations from the 4 main countries with the highlight being our first HAKA experience where Riel even got to dance on stage with our New Zealand relatives! (Haka is a warrior dance, if you are not familiar we recommend you check out some videos there are many to choose from on YouTube). We were honoured to share our words and stories and they honoured us with some very special gifts too. See you all again soon, maybe next time in your territory!